The Socotra archipelago, in the north-west Indian Ocean, is considered to be one of the most biodiversity rich group of islands in the world, thanks to a very distinct fauna and flora with a high level of endemicity. For this reason, it has been designated as a UNESCO World Heritage Natural site in 2008. Nevertheless, the natural history of most groups is still not clear, and their origin and evolution remain unknown. A team of researchers from the Department of Animal Biology (Università di Pavia, Italy), the Institute of Evolutionary Biology (CSIC-UPF, Barcelona, Spain), the Museo Civico di Storia Naturale di Carmagnola (Italy) and the MUSE – Science Museum of Trento (Italy), have been investigating the herpetofauna of the archipelago since 2007, in the framework of the “Socotra Conservation and Development Project” funded by the Cooperazione Italiana and under the auspices of the United Nations Development Project (UNDP) to collect ecological data on the reptiles of the Socotra archipelago in order to improve the sustainable development and conservation of the archipelago’s biodiversity. 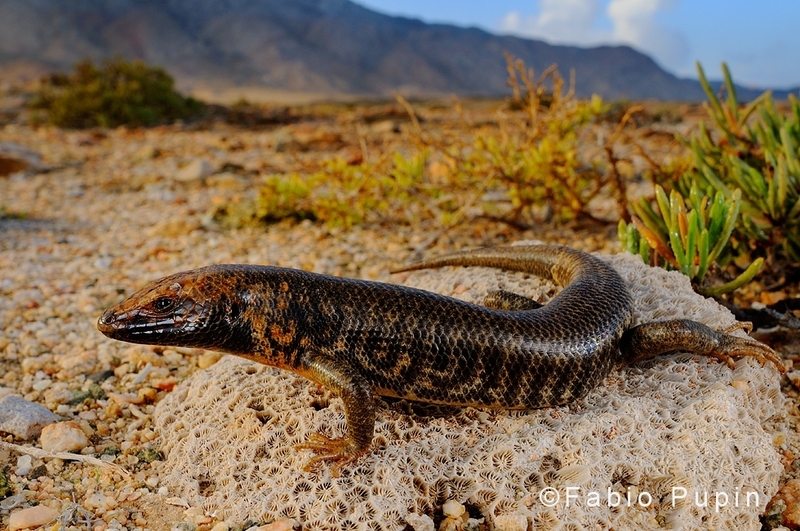 In a recent paper, the team presented some new highlights on the systematics, biogeography and evolution of Trachylepis socotrana, the only endemic reptile (a skink) supposed to live in all four islands (Socotra, Darsa, Samha and Abd Al Kuri). 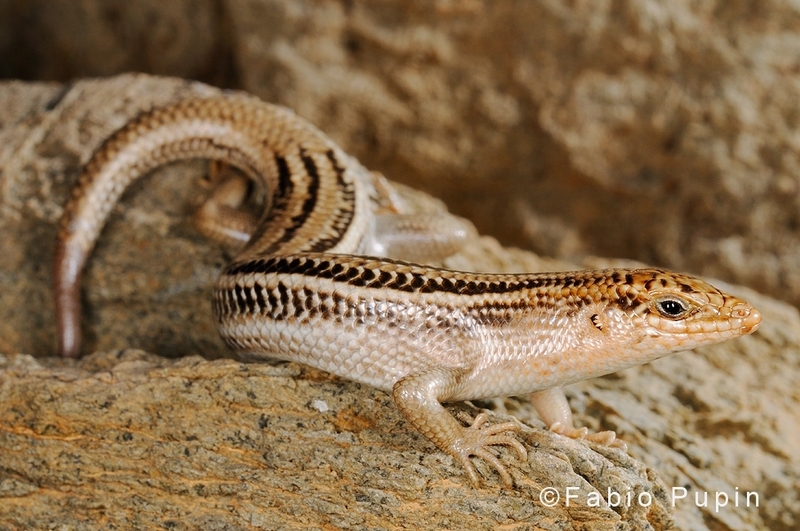 By comparing the skinks of the archipelago with representatives of the genus Trachylepis from Middle East, Africa and Madagascar plus some individuals from each of the other three genera of Mabuya skinks sensu lato (Chioninia, Eutropis and Mabuya), they have been able to trace back the history of the Socotran skinks. Interestingly, the results of the phylogenetic analyses indicate that members of the genus Trachylepis have landed in the archipelago in two independent events, firstly colonizing Socotra, Samha and Darsa about 10 million years ago, and then, 3 million years ago, colonizing Abd Al Kuri island, when the archipelago was already drifted away from the mainland. 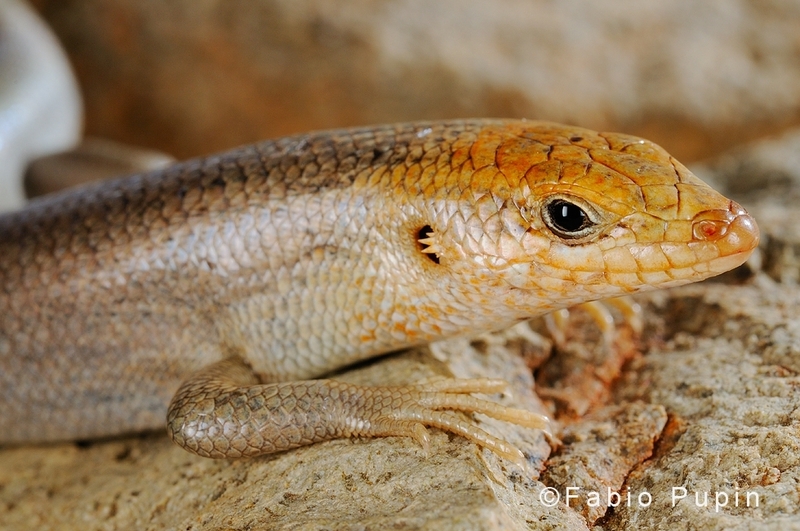 Furthermore, the Abd Al Kuri skink has proved to be a distinct new species, named by the authors Trachylepis cristinae, to credit the herpetologist who found the holotype while the team was surveying the island. This finding also means that reptiles of Abd Al Kuri, the westernmost island of the archipelago, are with no exceptions all exclusive of the island. Once again, the Socotra archipelago proves to be one of the most unique places in the world to witness and investigate evolutionary processes, and indeed is worthy of its nickname of “Galapagos of the Indian Ocean”. And worthy of similar concern: as Kay Van Damme remarks in Nature – Middle East, Socotra has lost none of its unique terrestrial bird, reptile or mollusk species in the last century, contrary to what happened in many other islands in the world. Though, the archipelago is not invulnerable. Challenges include habitat fragmentation, over-exploitation and loss of traditional knowledge. Tourism, which exponentially increased in recent years, could also be a threat for the most protected –and thus visited- sanctuaries in the islands. But the main concern is nowadays represented by political instability that spreads across Middle East. As Van Damme underlines, political upheavals in Yemen will initiate changes in decision-making on long-term policies and conservation strategies that, in the end, will affect the Socotra Archipelago biodiversity for decades to come. Thanks to Roberto Sindaco, Cristina Grieco, Elisa Riservato, Salvador Carranza, Margarita Metallinou, Mauro Fasola, Francesca Pella.